2014 was an amazing year for me filled with lots of changes: new baby, new jobs (for both me and the husband), new move (to Ann Arbor), new home … and lots of new recipes. I can’t believe how fast the year has gone by – it’s crazy to think that at this time last year Layla wasn’t even born! 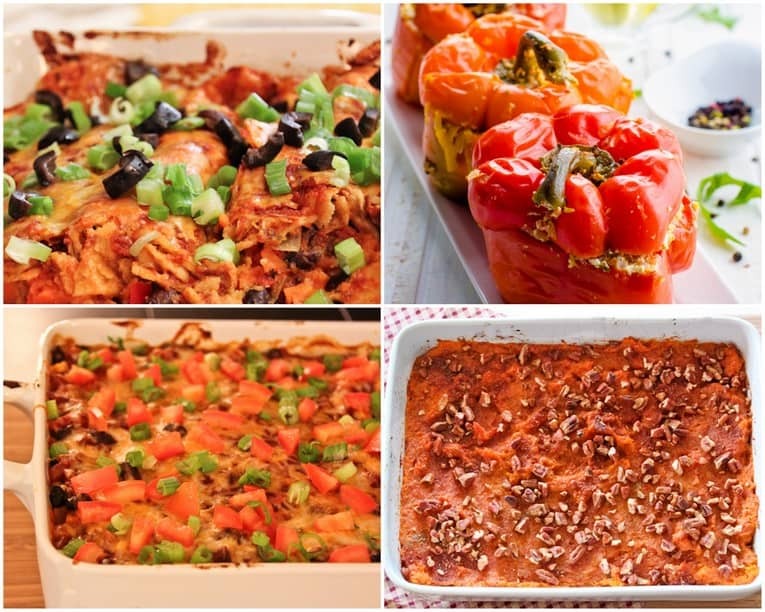 In our lineup we have: a couple soups, a few casseroles and baked dishes, one smoothie and some sweet treats. 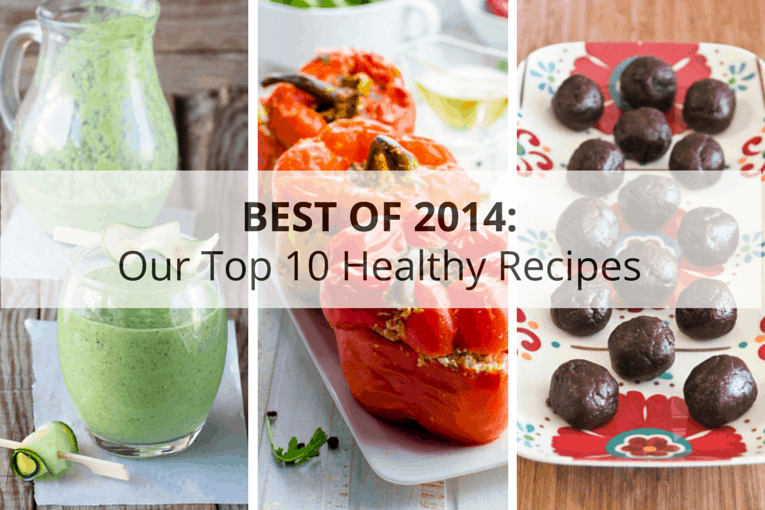 #1: It’s Easy Being Green Smoothie. 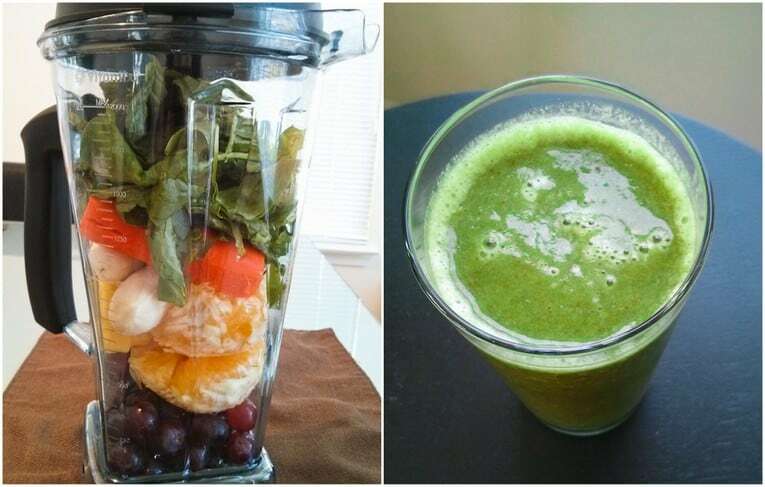 Thanks to my Vitamix, Green Smoothies have been all the rage in our house. This particular one has grapes, oranges, bananas and apples for sweetness and then a ton of spinach and carrots for veggies. Another favorite smoothie of mine is with spinach, kale, banana, apple, pear, and unsweetened soy milk! 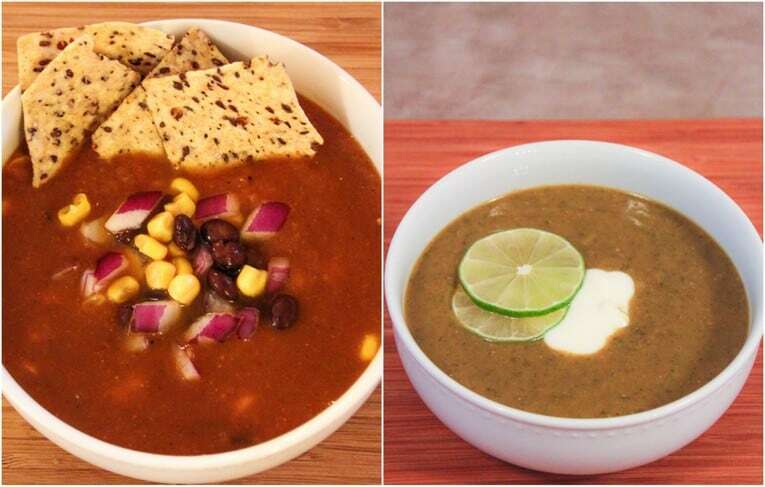 #2: Vegetarian Tortilla Soup with Black Beans. A great one-pot, quick meal that serves a ton of people. It’s hearty, healthy and kids love it too! #3: Spicy Lentil and Swiss Chard Soup. An easy way to sneak in some extra greens into your diet. Also pretty fast to make thanks to the red lentils which cook quickly. Spicy, super filling, and delicious. #4: Healthy Black Bean Chilaquiles. Another crowd pleaser, perfect for game day or anytime you’re cooking for a bunch of people. Takes the traditional chilaquiles recipe and puts a healthy twist on it – but it’s so tasty you won’t notice the difference! #5: Sweet Potato Casserole. A healthified version of a Thanksgiving favorite. Made with spices, nuts and a dash of honey – this sweet side has only 100 calories per serving and works great any time of the year! Serve it as a side, for breakfast, or as a treat at the end of your meal. #6: Black Bean and Quinoa Stuffed Peppers with Avocado Lime Sauce. An easy way to make a fancy dish. At under 500 calories for an entire meal, you will not be disappointed! #7: Black Bean and Sweet Potato Enchiladas. The perfect way to make “meaty” vegetarian enchiladas. Satisfying, with melt-in-your-mouth cheesy goodness – this is one everyone is sure to love. #8: Lightened Up Red Velvet Cupcakes. The first sweet treat in our lineup! Because really, who doesn’t want to eat red velvet cupcakes totally guilt free? These bites of heaven have less than 200 calories and less than 15g sugar per serving. Not bad for a cupcake! #9: Apple and Pear Crisp. Another under-200-calorie-dessert that’s perfect for winter. And with the tons of fruit packed into each individually sized crisp – you can feel a little better about eating this for dessert. #10: Chocolate Macadamia Nut Truffles. 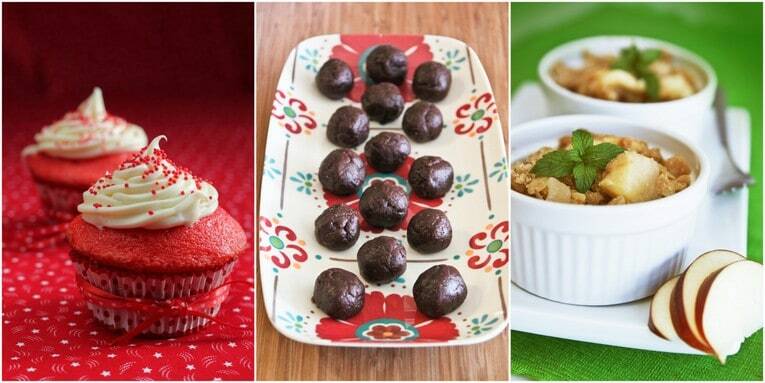 Because what is a dessert lineup without chocolate at the end? The amazing thing about these truffles is that they are 100% vegan and gluten free, and each delectable truffle has less than 70 calories and under 5g sugar. Happy 2014 everyone! I can’t wait to see what 2015 will bring! These recipes look great. And many of them the picky eaters in my family might actually enjoy. Thanks so much Laina! I can’t wait to hear how you and your family like them!